We departed Puerto Vallarta on the Gunboat ’62 “ Chim Chim “ for the delivery to San Diego. 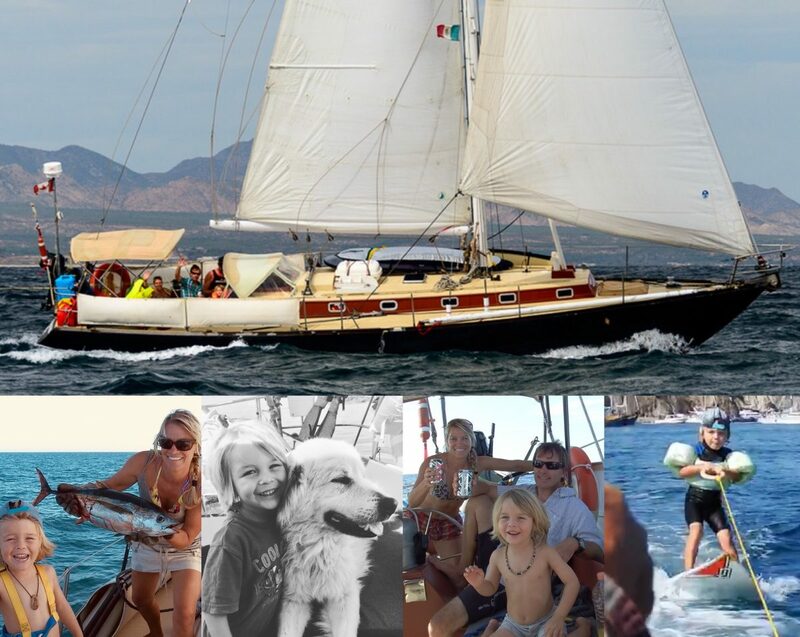 Our intention was to do it non-stop, but the Sea of Cortez had something else in mind. While doubled reefed and under storm jib (mainly to keep the speed down), we experienced 4-6’ short period northerly seas, mixed with south and west swell coming from the Pacific. It made for a bumpy ride, and the port side dagger board “bearing “started to work its way loose from the hull. Concerned it would get worse (we still had about 900 miles of uphill sailing to go), we decided to pull into Cabo to affect the repair. We accomplished that, gave the boat a proper wash, and had a nice dinner. I spoke with Tanja and mentioned we’d time our crossing of the Sea for more pleasant sailing conditions, which we later did! Thanks to John and Owen for having me aboard, where once again I ate very well, including on my 45th Birthday, when Brianna prepared an awesome steak dinner for us all to enjoy!